Exquisite Mediterranean Custom Gated Trophy Estate with views on over 2 flat usable acres! This Magnificent Estate boasts 2 houses, a main Estate approximately 7500 square feet, a separate 1 story 3 bedroom plus office home with separate gate, 3 kitchens, room for horse stables or riding arena. The grounds feature manicured gardens, majestic oaks, huge courtyards with fountains that can accommodate large events, an approximately 1000 square foot under roof cabana with fireplace and barbecue area that overlooks the resort style pool, spa. The estate also has a pool house with kitchen and bathroom.There is a huge private deck overlooking the pool area that the master enjoys. A rare find! THE QUEEN’S VIEW! This estate is a piece of LA history! Through Bel-Air’s prestigious East Gate, you’ll find the exclusive home of glamour icon, actress, and philanthropist, Zsa Zsa Gabor & husband Prince Frederic von Anhalt. This private, gated estate is positioned on OVER ONE ACRE w/ 270-degree, jetliner views from Downtown to the Pacific Ocean and beyond. Boasting almost 9000+ square feet (per owner), this 6 bdrm/7 bth home radiates warmth and a relaxed elegance. The grand, circular foyer leads you into several areas of the home. Perfect for entertaining, the rooms flow beautifully from the grand salon, to the formal gathering area, to the exquisite dining room that has entertained guests such as Queen Elizabeth, US Presidents, CEO’s, dignitaries and celebrities. This sophisticated, Traditional Monterrey Estate built in 1930 is situated in prime Hancock Park. The home has a grand entry opening to an exquisite step down formal living room and formal dining room. 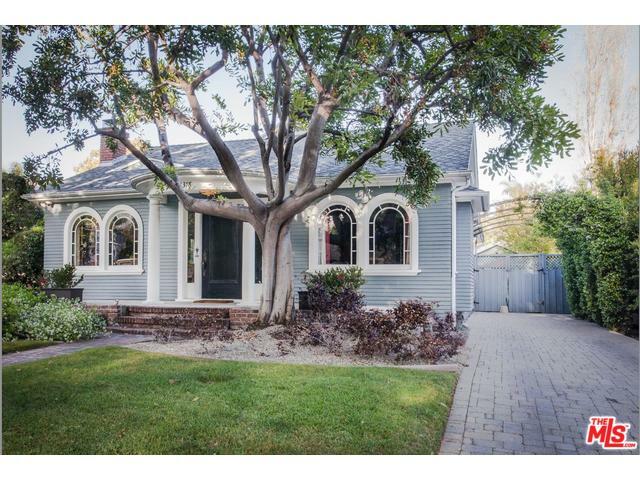 This gem of a home boasts 5 bed 4.5 bath and over 5,300 sq ft on a 13,000+ sq ft lot. State of the Art Architectural Retreat in the Hollywood Hills. Contemporary Open Concept Floor Plan Featuring Five Bedrooms and Four Baths. Amenities of the Home include Sleek Hardwood Floors, European Styled Cabinetry, Designer Finishes and a Private Grass Yard with a Sundrenched Saltwater Pool and Spa. The Chef’s Kitchen has Thermador Stainless Steel Appliances and generous storage with adjacent Butler’s Pantry Area. An Exquisite Master Suite resides over the rear garden with Views of the Hills and Private Spa Style Bath. Modern Design by Architect, John Southern. This is the Ultimate Residence for your Most Discerning Client. 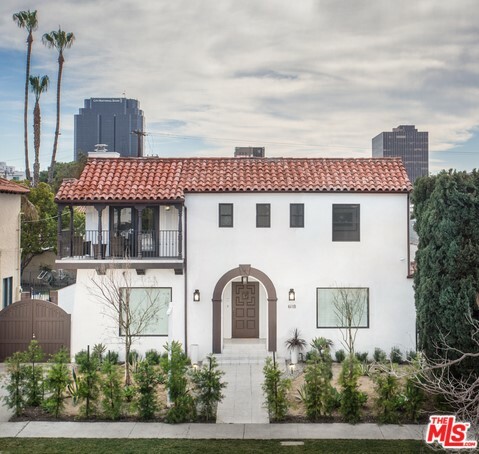 Located in sought after Beverly Grove; just a few blocks from The Grove, LA Farmers Market & 3rd Street– this gorgeous 2015 remodeled contemporary Spanish masterpiece features superior design and workmanship. Through the original front door, this classic home warmly invites you via a regal entrance & grand staircase. This 4 bedroom, 4.5 baths is exactly what you want to come home to; featuring a gourmet kitchen with large center island, Wolf range, Bosch DW, Sub-Zero refrigerator, Koehler sinks, new custom cabinetry, and carrera marble counter-tops. Fabulous formal dinning room, a step-down living room with fireplace that flows out to a beautiful entertainer’s backyard on a large lot with a fantastic pool & spa! Entertain, dine or relax pool-side! The bathrooms include new tubs, tiles, fixtures and vanities with marble counter-tops. 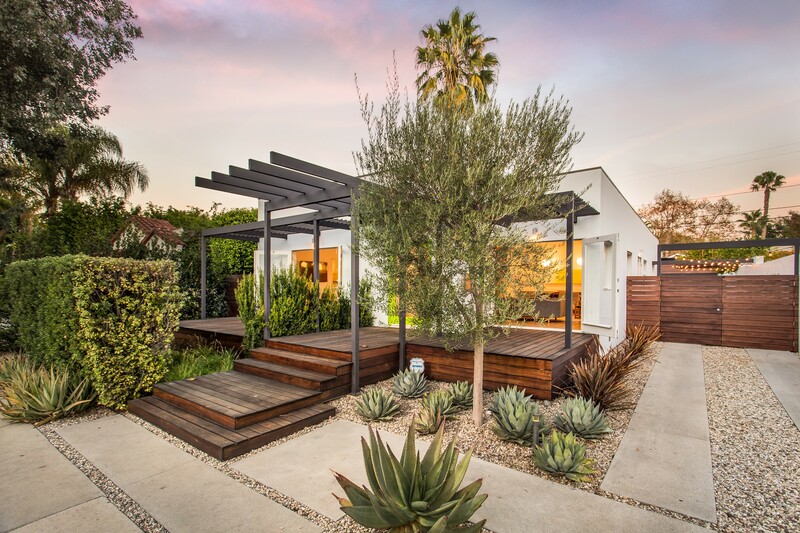 A high-end modern home on a quiet cul-de-sac in one of West Hollywood’s most sought after locations. This open-air beauty is one of the best single level moderns in the area – from the floor plan to the finishes, no detail was overlooked. This home was built by the sellers for their personal use, and the nearly 6,000 sq. ft. lot is one of the largest in West Hollywood’s design district. Professionally designed by architect Emily Jagoda and landscape architect John Feldman. 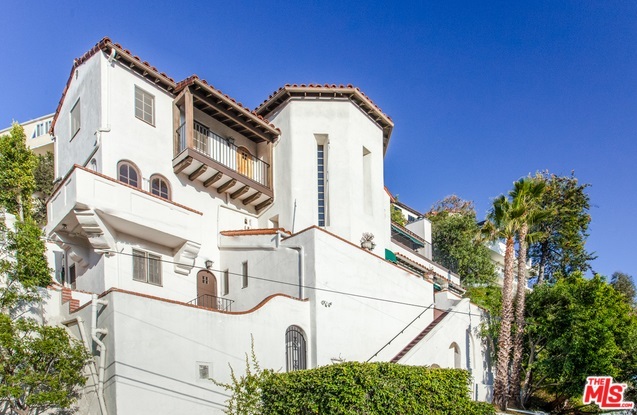 Authentic 1926 Spanish w/ panoramic jetliner views perched above exciting Sunset Strip on private cul-de-sac; an escape from the hustle & bustle of the city below. Multiple outdoor patios on 3 levels provide for an entertainer’s dream and true California indoor/outdoor living. This private and renovated hideaway has 4 bdrms 3 baths, over 2,800 SF of living space, grand circular staircase, wrought iron railings, curved archways & classic tiling. Main floor includes dramatic lvg room w/ high wood beamed ceiling, fireplace & veranda. Formal dining room has west-facing balcony and french doors opening to large rear patio. Historic 1920’s Restored Colonial Craftsman exemplifies restoration at its finest. Situated on the perfect block, in one of the most sought after neighborhoods (Historic Spaulding Square); this beautifully landscaped home offers the finest in historical presence w/ modern comfort & convenience. 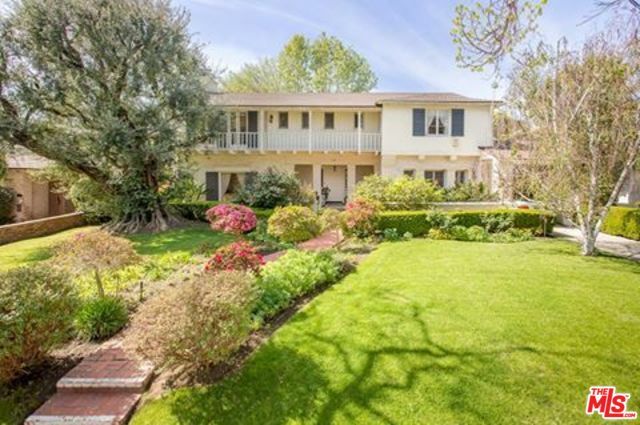 The estate has a beautifully landscaped backyard with a cabana & serene lily pond. For More Recent Sales Click Here!